SMX EAST – AI, voice and voice assistance. 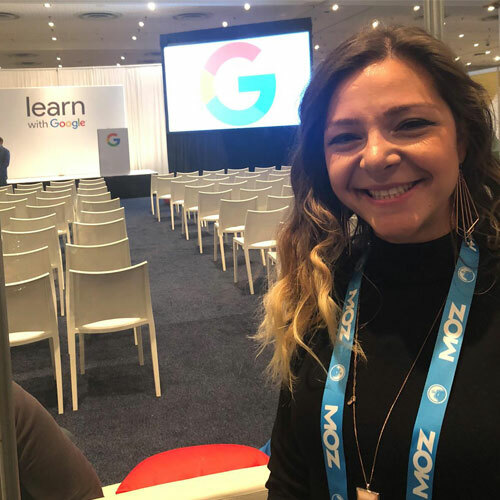 I recently attended Search Marketing Expo East (SMX) as a speaker, discussing how to set up Facebook campaigns to drive revenue for online and offline businesses. My presentation, Facebook Advertising Success, is available on SlideShare. It delves into the more technical side of paid social, such as setting up pixels, custom audience and conversion lists. I also had a chance to attended a variety of sessions and, as an event attendee, my big takeaway was that AI is at the heart of everything in the marketing world right now. AI powers voice search and it also powers the paid search recommendations we see in Google and Bing. Therefore, marketers need to leverage AI to create an easy customer experience with voice. Why is now the right time for digital marketers to start preparing to be at the moment that matters for consumers utilizing voice search? 50% of all searches will be voice searches by 2020 (comScore). A 30% revenue increase is expected for websites who redesign to support voice and visual searches by 2021 (Gartner). Voice is about action; it’s 40x more oriented than search (SMX Google keynote). People’s expectations of conversations are growing; voice is 200x more conversational than search (SMX Google keynote). Daily routines matter. For example, people check the news and weather in the morning, so it might be the right time for you to be there. Voice is universal. Consumers want and need things to be easy and thumbs slow you down. How can search marketers ensure that they are at the right place at the right time? Show up. For example, update all your business locations and upload all videos to YouTube. Screens will change everything because people use voice with visual input. Be assistive. Think about the micro-moment where you can be assistive. Be conversational. Read the blogs or learn from friends when it comes to building a conversational search experience. Think like Homer. Another popular topic at SM, was that social media has not yet been part of the voice and voice assistance conversation. Facebook ads currently aren’t powered by search in the way Google and Bing are. As the leading social media advertising channel, it will be interesting to see how Facebook will leverage messenger chatbot ads as a layer to integrate voice AI for marketing. The excitement marketers and consumers have about voice is helping speed up the adoption, but we need to keep up with the increase in usage. In fact, voice-activated speaker sales are expected to experience 50% YoY growth, according to The NPD Group, and AI will power those transactional and informational searches. Being there at that micro-moment will be key for success for any marketer.